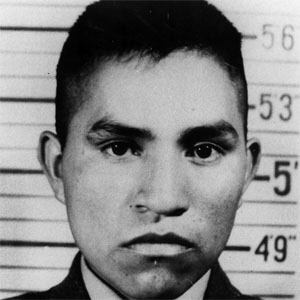 Pima Native American war hero who was a United States Marine corporal and one of the six flag risers in the iconic photograph of the flag raising on Iwo Jima during World War II. He was awarded with the Combat Action Ribbon and the Presidential Unit Citation. He went to the Phoenix Indian School for two years and served in the Civilian Conservation Corps in 1942. His thoughts about his unwanted fame after becoming a war hero was talked about in the 1959 book The Outsider by William Bradford Huie. He was born the eldest of six children to teacher Nancy Hamilton and World War II veteran Joseph Hayes. He was portrayed by Adam Beach in the 2006 film Flags of Our Fathers.